The items we manufacture are made-to-measure to fit any air systems. Based on your current needs and your short- and long-term goals, our team will ensure that your system performs. 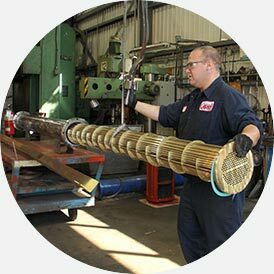 Technicians at Entreprises Larry understand that repairing damaged equipment in the field of compressed air systems gives the meaning to the word "repair". Repairs are usually performed on site by members of our mobile repair service. For more complex problems, interaction with our engineering and workshop services are benefits that set us apart from the competition. The Entreprises Larry workshops are the most complete and well-equipped in this field. 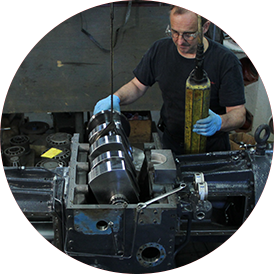 From across Canada and the American east coast, we receive parts and components that require complete reconditioning to rebuild your system. 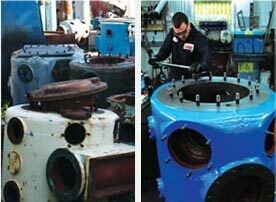 The reconditioning phase follows an evaluation and recommendations from our technical department.